Volunteer with sharks in Fiji and learn to dive in the clear, cobalt waters of the Pacific. You’ll help scientists protect one of the most endangered animals on the planet. You’ll work mainly as a research assistant, giving you the opportunity to get up close with these beautiful creatures. 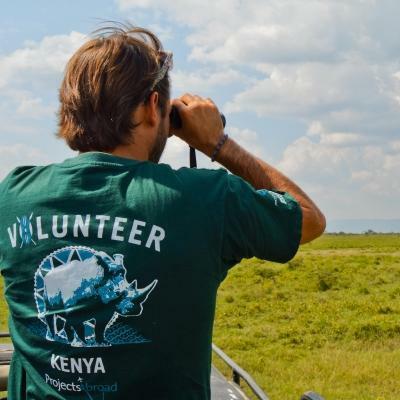 You’ll get plenty of practical experience, which could help you pursue a career in conservation. In Fiji, you’ll assist leading shark researchers from the World Wide Fund for Nature (WWF) and Project AWARE. You’ll learn how to safely feed, identify, and tag sharks in their natural marine habitat. The data you collect will help keep them off the list of critically endangered species. We’ll also teach you to dive, and you’ll receive your PADI diver certification in an idyllic, tropical setting. Experienced divers will also have the chance to gain specialised conservation and DiveMaster qualifications. The project is based in Pacific Harbour, considered the adventure capital of Fiji. 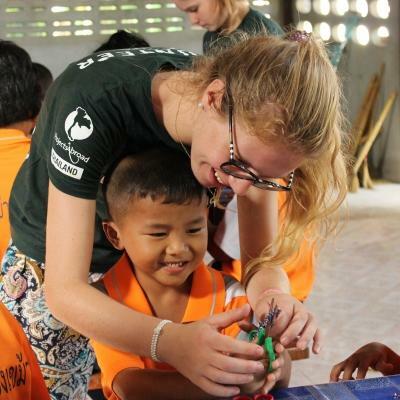 You’ll live in shared accommodation with other volunteers. ‘Probably the most important shark conservation project in the world.’ – Ian Campbell, Global Shark Programme Manager, WWF. 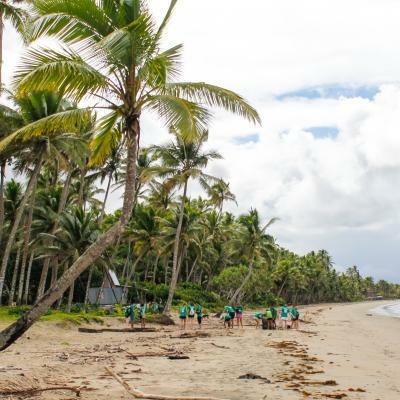 Is Shark Conservation volunteering in Fiji right for me? This project is perfect for adventurers and thrill-seekers with a passion for nature, marine life, and the outdoors. If you’re interested in a career in conservation, this project is a great fit for you. You’ll be working with and learn from some of the top minds in marine biology. 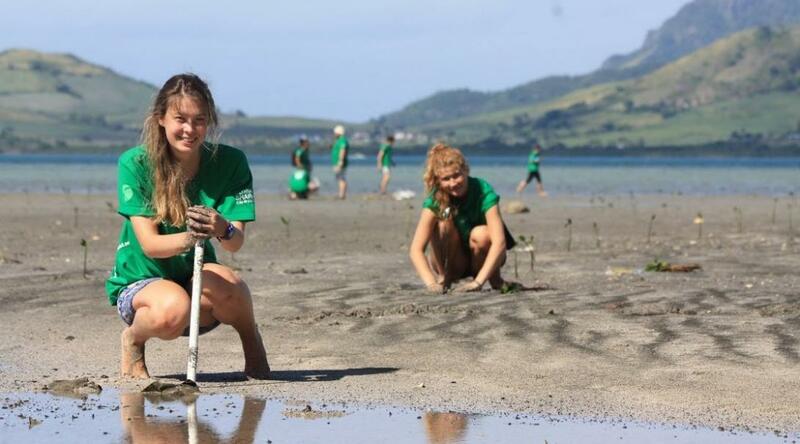 You’ll gain practical, hands-on experience in marine conservation, which will add valuable work experience to your CV. The programme will also give you unique points to talk about in applications and interviews. No experience? Don’t worry! You’ll receive full training in your first two weeks to gain your PADI Open Water certificate. This Projects Abroad experience is thrilling but entirely safe. You’ll always be supervised by expert diving instructors from our highly respected dive partners, Beqa Adventure Divers. Their safety record on shark dives is 100%. Are you an experienced diver? 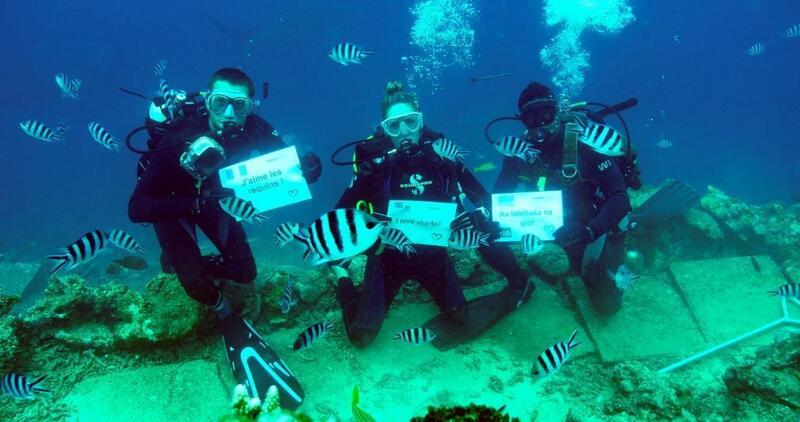 You’ll have the chance to gain specialised diving qualifications. These include PADI AWARE Shark Conservation Diver and our exclusive PADI Projects Abroad Survey Diver certificate, which includes training in underwater survey and research techniques. Those staying for eight weeks or more can also train as a Dive Master on this project. We have a number of volunteer opportunities with sharks in Fiji running all year round, so you can join whenever it suits your schedule. You can volunteer for a minimum of two weeks, but we recommend staying longer to have an even greater impact. 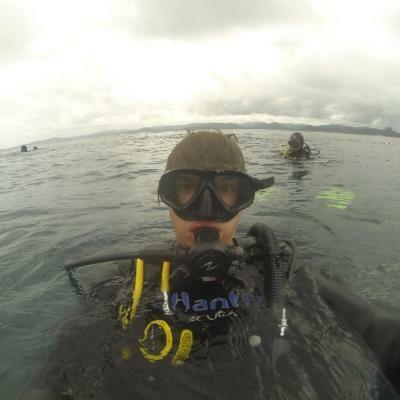 What will I do as a volunteer working with sharks in Fiji? We offer PADI certifications as part of this project because diving is central to the work you’ll do. If you’re a beginner, you’ll complete the PADI Open Water Dive Course during your first two weeks. If you already have diving experience you’ll complete the PADI Advanced Course or PADI Rescue Diver Course. You’ll then complete the specialised PADI AWARE Shark Conservation Diver course. You’ll also receive plenty of training on fish identification, research, and survey techniques as part of the PADI Projects Abroad Survey Diver Distinctive Speciality Course. During the project, you’ll help staff collect data from survey dives, Baited Remote Underwater Videos (BRUVs), and shark tagging. This research is central to the project. We share it with global monitoring platforms such as eShark and SharkBase. In 2016, our research was one of the top five most important contributions to these databases. As well as your core work with sharks, you’ll help care for mangrove seedlings in our mangrove nursery and replant mangroves along the coast. Mangroves are one of the most important ecosystems in this region. They act as nurseries for many different fish species and help reduce carbon emissions. We’re working in partnership with local businesses to work out their carbon emission levels and plant enough mangroves to neutralise them. Help reduce the 73 million sharks killed by humans each year through the campaigns you run. With workshops and outreaches, you’ll raise awareness of the importance of sharks and sustainability. You’ll help make sure that local people are involved in shark conservation work. You’ll also help ensure that that younger generations continue to protect sharks in the future. 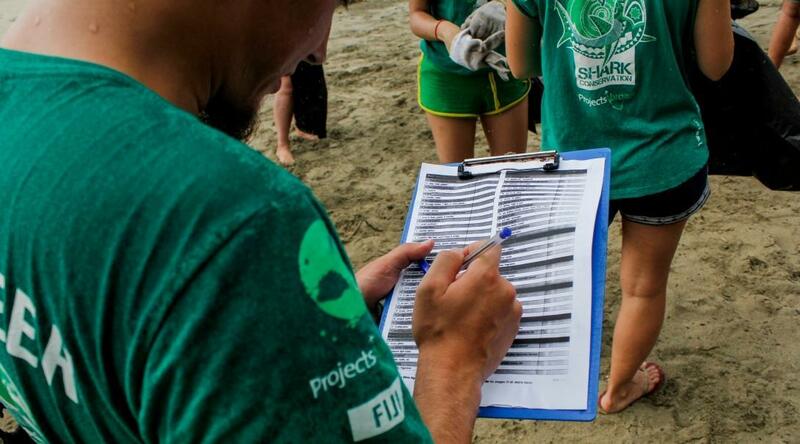 Projects Abroad works to make the biggest possible difference to shark conservation efforts. Also, to provide the best experience for our volunteers, we make sure you have unparalleled support when you’re working on our projects. In Fiji, we work with many great partner organisations to achieve this. An important aspect of protecting marine life is diving to collect data. To make sure every volunteer can fully participate in this valuable work, we’ve partnered with PADI and Beqa Adventure Divers. We’ve also partnered with major conservation organisations like WWF, Project AWARE, SharkBase, and Friends for Sharks. We share our data with them and, with their support, the work you do can have an even greater impact on shark protection policies. Where in Fiji will I be working? On this project, you’ll be based in Pacific Harbour, known as the ‘adventure capital of Fiji’. This popular tourist area is on the south coast of Viti Levu. You’ll spend most of your time contributing to research during scuba dives off the coast of Pacific Harbour, in the renowned Beqa Lagoon and the Shark Reef Marine Reserve. You’ll also be helping with conservation and awareness efforts in coastal communities. In your free time, there’s plenty to do. Seeking more adrenaline? There’s kayaking, ziplining, and white water rafting. The island also has great hiking among breathtaking waterfalls and lush rainforests. If relaxing is more your thing, Pacific Harbour has some of the finest, white-sand beaches on the island. A typical work day will run from 7am to 4pm, Sunday to Thursday. 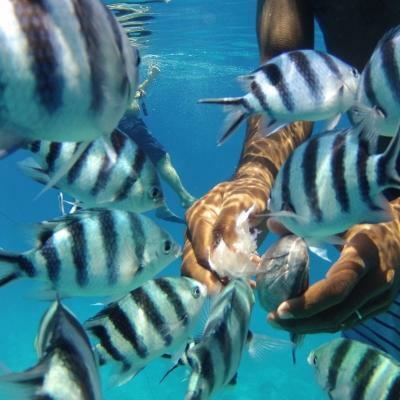 All your activities will be supervised by trained local professionals, including qualified marine biologists. After breakfast with the other volunteers, you’ll begin your project work. You’ll head out on a boat with our local staff and deploy two Baited Remote Underwater Videos (BRUVs). This is followed by a 90-minute scuba dive, monitoring and collecting data on the marine life you see. Our partner dive organisation, Beqa Adventure Divers, is at the forefront of shark protection in Fiji. Their safety record on shark dives is 100%. Then you’ll watch BRUV footage and record the species you see. You could also spend your afternoon teaching people in a nearby village about the importance of sharks. This includes things like running an awareness workshop, teaching a class on recycling with schoolchildren, or attending a lecture on shark identification. You’ll also participate in workshops to learn more about Fijian life. You’ll learn how to cook local food, make ‘bilo’ - traditional coconut cups, or weave palm fronds. Over dinner, you can discuss the day’s adventures with the volunteers sharing this memorable experience with you. Your evenings will usually be free, giving you the opportunity to explore Fiji. Go trekking through the highland interior or attend a traditional festival. Alternatively, relax by the swimming pool, drinking kava and watching the sun setting over the sea on this island paradise. What are the aims and impact of this Shark Conservation Project? 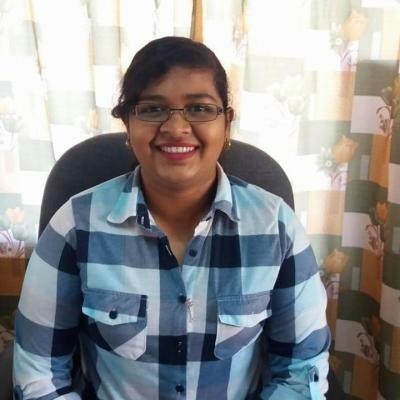 The aim of this project is to protect the shark population in the ocean around Fiji. We started our Shark Conservation Project in Fiji in January 2014 in response to the declining shark population in this area. The Fijian government has identified shark protection as a top conservation priority. Although marine protected areas have been set up to address the decline in shark numbers, the population continues to decrease. As one of the top predators in the marine food chain, sharks play a vital role in this ecosystem. The extinction of sharks would have devastating consequences for both marine life and humans. Without sharks, a destructive chain of events would lead to an increase in algae, which would choke coral reefs and eventually kill them. If coral reefs die, thousands of species will lose their habitat. This would take away a major income source for local fishermen and a primary food source for Fijian locals. Join a Shark Conservation Project in Fiji and help us work towards achieving these goals. I decided to join the Shark Conservation Project in Fiji because of my love for sharks and marine conservation. I find sharks a truly fascinating group of animals, and I have always been keen to study them. As a scientist-in-training I was most impressed with all of the science underlying the project and how willing the staff was to share their knowledge. I was able to see science in action as well as conservation efforts making their way up the chain to actually change environmental policy. 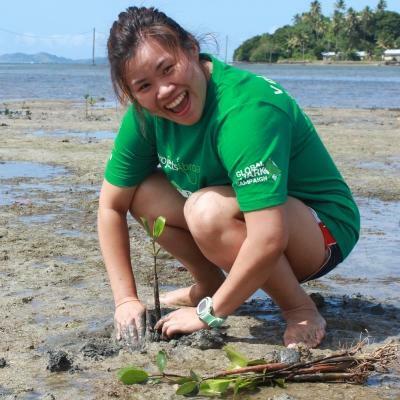 You'll share accommodation with other Projects Abroad volunteers and interns during your stay in Pacific Harbour. This is a great way to get to know your fellow volunteers and interns, share experiences, and explore your surroundings in your free time together.